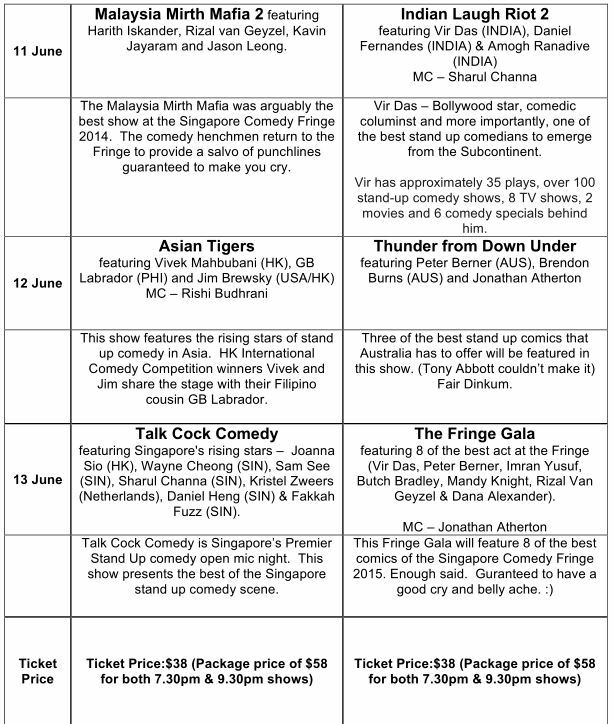 The Comedy Club Asia is proud to present the Singapore Comedy Fringe 2015. This five-day event will feature a stellar line-up of some of the best regional and international comedic talents. It will take place from the 9th to 13th of June at the DBS Arts Centre. Taking the stage at this ground-breaking event are some of the biggest International names in standup comedy, including Harith Iskander (MAL), Kumar (SIN), Vir Das (IND), Butch Bradley (USA), Peter Berner (ASU), Imran Yusuf (UK) plus rising stars from Singapore, Malaysia, India, Hong Kong and Philippines. The Singapore Comedy Fringe Festival promises to be lots of fun and lots of laughs. The Singapore Comedy Fringe is jointly organized by The Comedy Club Asia– a home-grown company fostering comedy talent throughout the Asian region. The Comedy Club Asia has been organizing live stand up comedy shows since 2008. Their mix of international monthly shows, local open mic nights and international gala shows at the esplanade (e.g. Kings & Queen of Comedy Asia Series) has played to more than 100,000 people. The Comedy Club Asia has grown to organizing shows in Singapore, Kuala Lumpur, Jakarta, Bali, Phnom Penh and Ho Chi Minh City. In 2012, The Comedy Club Asia was named “Best Comedy Club” in the National Critics’ Choice Awards. 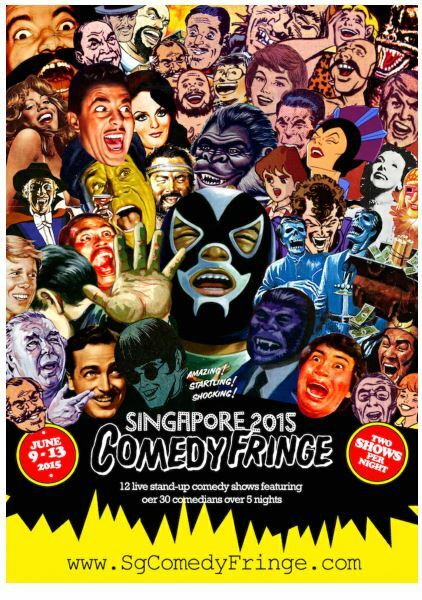 The Singapore Comedy Fringe will be held from the 9 to 13 June, 2015, at the DBS Art Centre – Home of the Singapore Repertory Theater (20 Merbau Rd, S239035). Tickets are available at SISTIC at $38 / $58. The Comedy Club Asia would like to invite my readers down to the show. Just leave a comment with your name and email address to win a pair of tickets (2 sets to be won!) to any show of your choice. Giveaway closes on 6rd June 2359 and winners will be contacted via email! Good luck! Do note that this giveaway is only open to people residing in Singapore and i will be using a Random Number Generator for the selection..
* Disclaimer: Products Descriptions and information are extracted from Comedy Club Asia’s Press Release. Hello everyone! I’m back after my short break from blogging due to work commitments. Looking forward to my well deserved rest after OT-ing on Saturday (PH) and Monday (Replacement leave for Saturday)..
Unveiling my Nov’s parcels i have received recently! 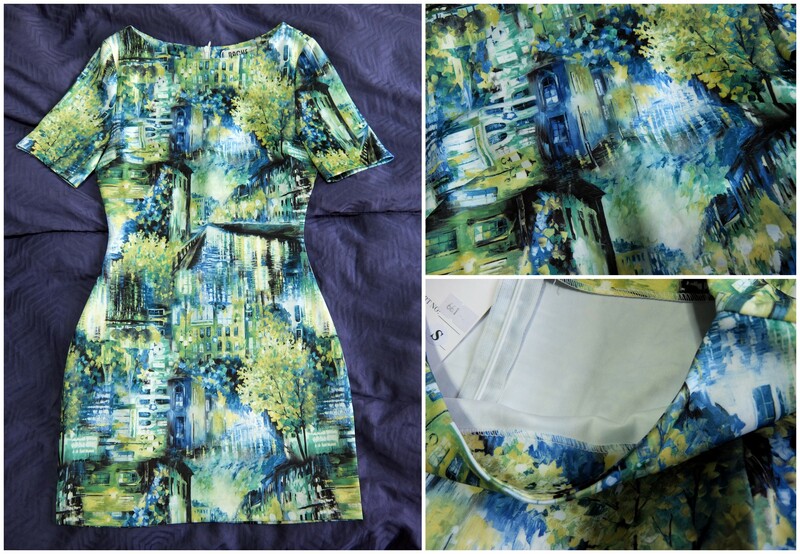 First parcel will be the Willow Fitted Mirage Dress that i have bought from Vaingloriousyou (VGY). Among so many blog shops, VGY is my favorite and i cannot resist buying something from any of its collections.. Not only the apparel are unique, the sizes fits me well even without me trying it.. Another plus point will be the quality of the apparel as it has amazing Boutique Quality which is not sheer and comfortable! Next, i have received my 2nd Black Box and to recap, Black Box is the first unisex lifestyle subscription box service in Singapore that uncovers a curated all-rounded selection of sought-after, latest or tried and tested products by the Black Box Team. 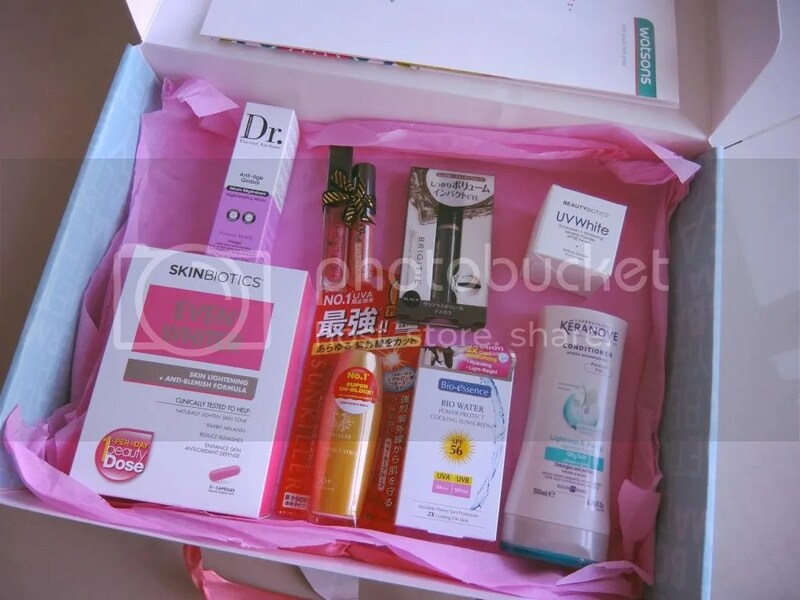 Each bi-monthly uniquely themed boxes contains a specially selected lifestyle and beauty products from various leading labels. In the past, Black Box works on a first-come-first-serve basis system so you might have to wait before you will receive 1. Black Box is also a bi-monthly sampling box so there’s limited number of boxes (500 boxes) going out for each edition. So to ensure equal chance of getting the complimentary Black Box, allocation has been changed to a balloting system to ‘bid’ for one (subscribers will receive balloting notification through email). Meanwhile, you can secure your December Black Box by paying your own courier fee of $6 and you can ballot for it through this link. 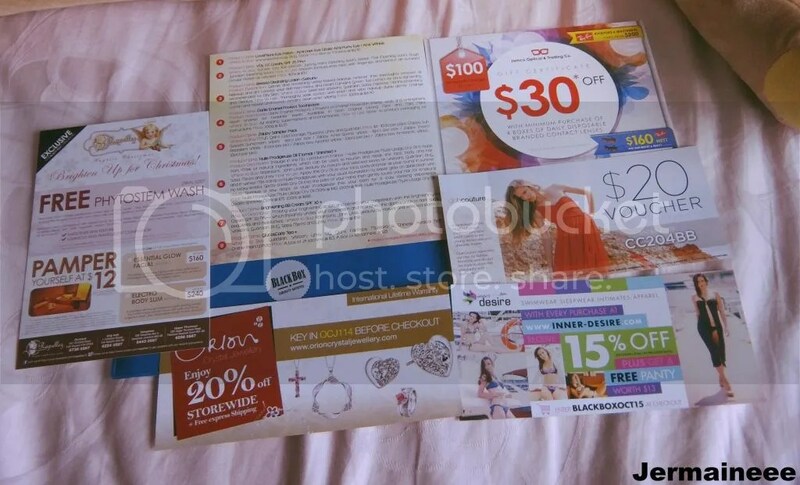 In my October Box, there’s the usual exquisite shopping/spa/dining deals and discounts Black Box Vouchers provided. The vouchers come in a collectible Black Box Pouch which features different design for each black box edition. 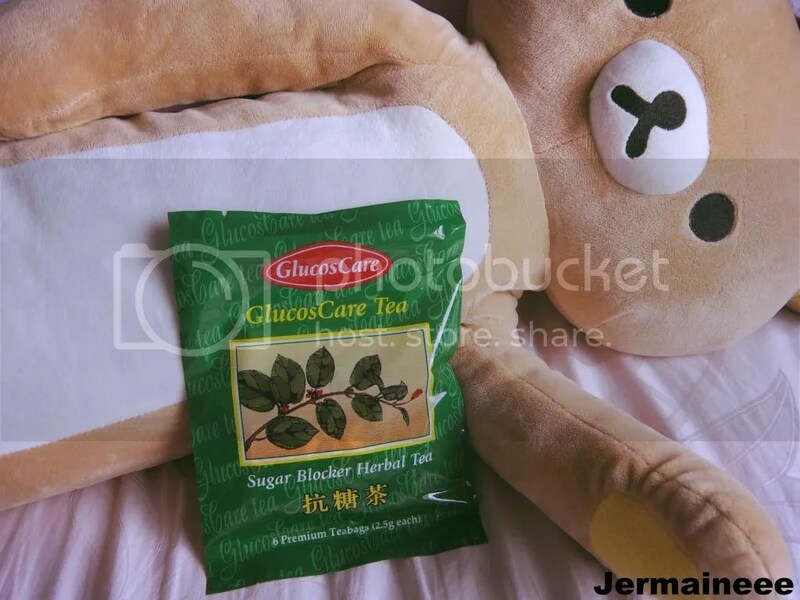 In my October Box, there’s GlucosCare Tea (6 tea bags) which i have received previously in my August Box. GlucoCare Tea is a natural herbal tea that is proven to lower sugar absorption in the body. Too much sugar is bad for the body as it will cause fat build up in the liver which leads to obesity, diabetes and increase risk for cardiovascular disease. The GlucosCare Tea is able to prevents excessive sugar intake and regulate + control the level of blood sugar in one’s body. Clinical trials have shown GlucosCareTea to be effective in controlling blood sugar and body weight. It is particularly recommended for patients with Type 2 Diabetes Mellitus, for weight-watchers and the health-conscious consumers. You can read more about it via my August Black Box Link. 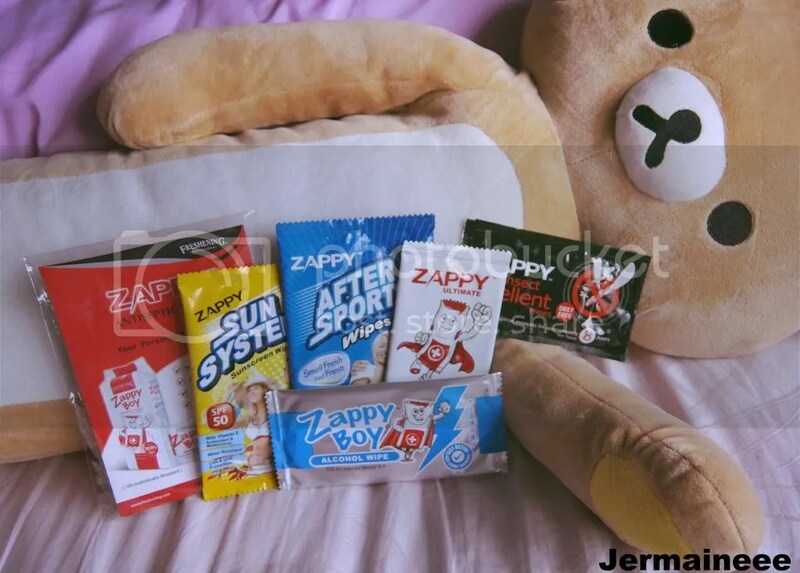 My 2nd Zappy Sampler Pack (1 wipe each) – Alcohol wipes, Antiseptics wipes, Insect repellent wipes, Sun system wipes, After sports wipes & Everyday wipes! Being your personal body-guard, Zappy’s focus is on hygiene and healthcare wipes – So convenient and Handy! My personal favorite is the Everyday Wipes as the wipes are moist enough and it cleanse effectively. To read more on the different types of wipes, you can click on this LINK. I have packed this item (as it is less than 100ml, so handy!) into my hand carry luggage for my short trip at SZ. My hubby is on a long business trip and decided to join him over the weekends. I have to travel light too as no one is helping me with my luggage this time so i will need an effective makeup remover that will remove all traces of makep! The Bifesta Cleansing Lotion (Sebum) is a gentle and refreshing water-based makeup remover that will effectively removes all makeup and dirt.. I have packed this item into my hand carry luggage as well, i really love travel friendly items! hehe! 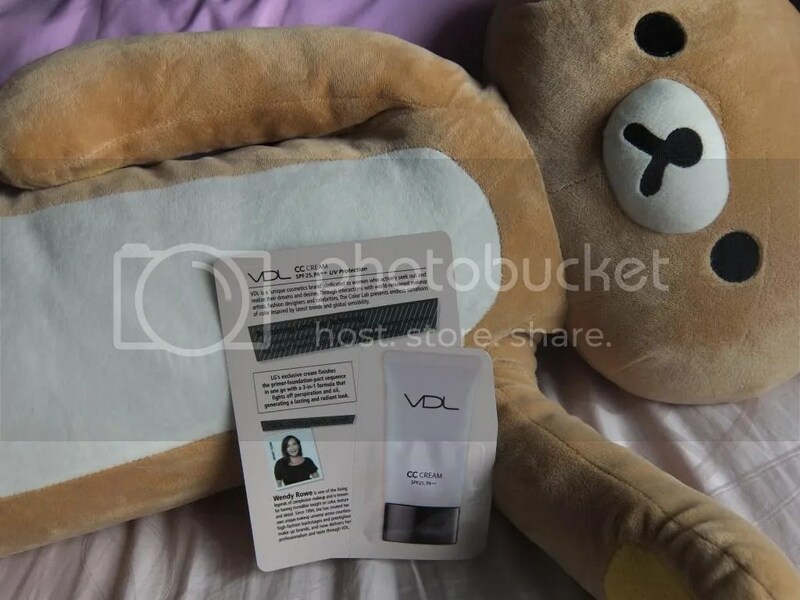 VDL CC Cream SPF 25, PA++ is a color control cream with a 3-in-1 formula – primer, foundation & pact all in one. The CC cream is long-lasting as it helps fights off perspiration and oil, generating a lasting and radiant look. Eyes are the windows to our soul, it is essential to take care of the eye contour as it is also the most delicate area of our skin. As we age, skin loses its elasticity and becomes thinner due to breakdown of collagen. 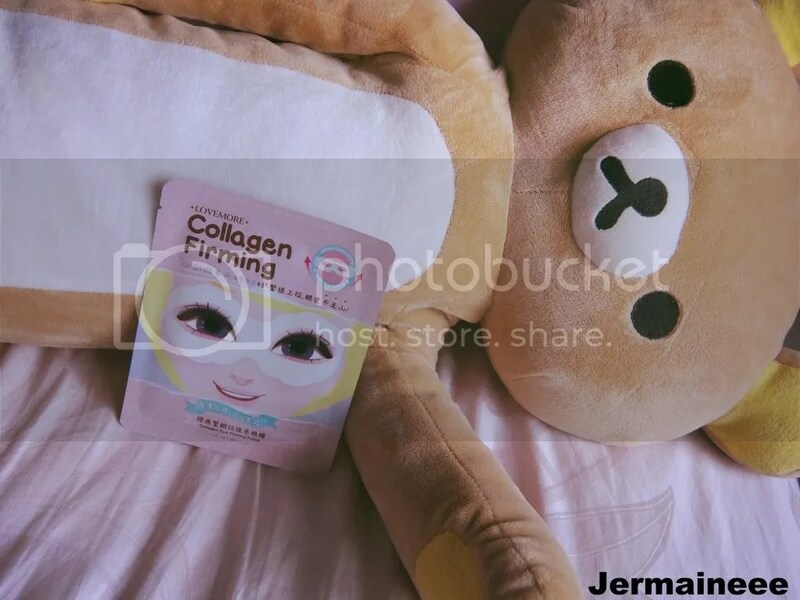 The LoveMore collagen eye firming patch will boost skin elasticity with collagen to give you younger and it is also packed with marine collagen and green tea extract to instantly boost eye contour youthfulness. The Special ear hook design gives ultra lifting effect while hold the mask in place while you move! 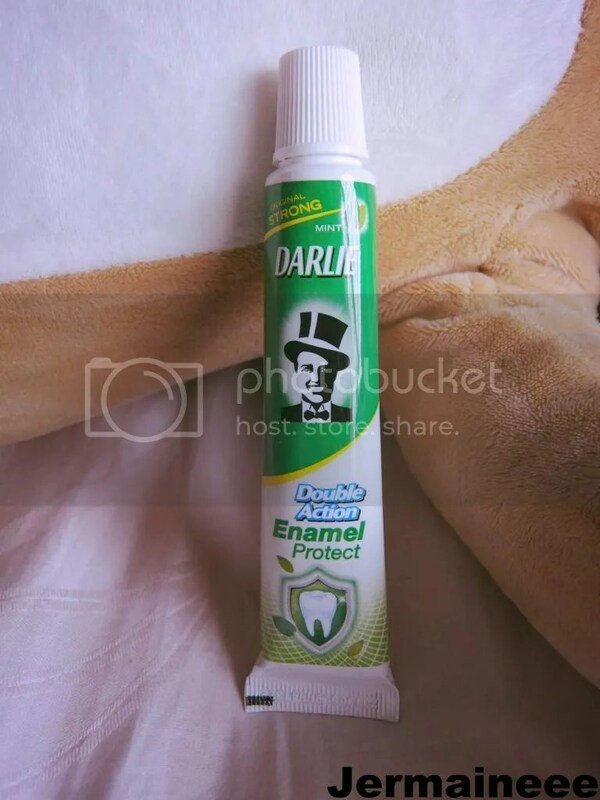 The Darlie Enamel Protect Toothpaste went into my travel toiletries bag as well and this toothpaste will has 3 types of Enamel protection abilities – Shields, seals and strengthens tooth enamel for healthier teeth. It is available in Both original strong mint and mild mint. 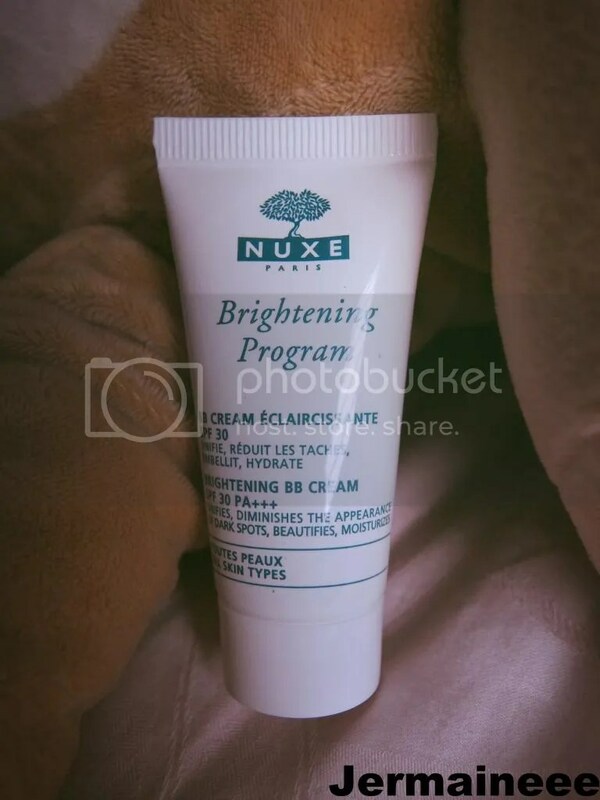 Lastly, the NUXE Brightening BB Cream SPF 30 will prolong brightening action and perfect complexion. 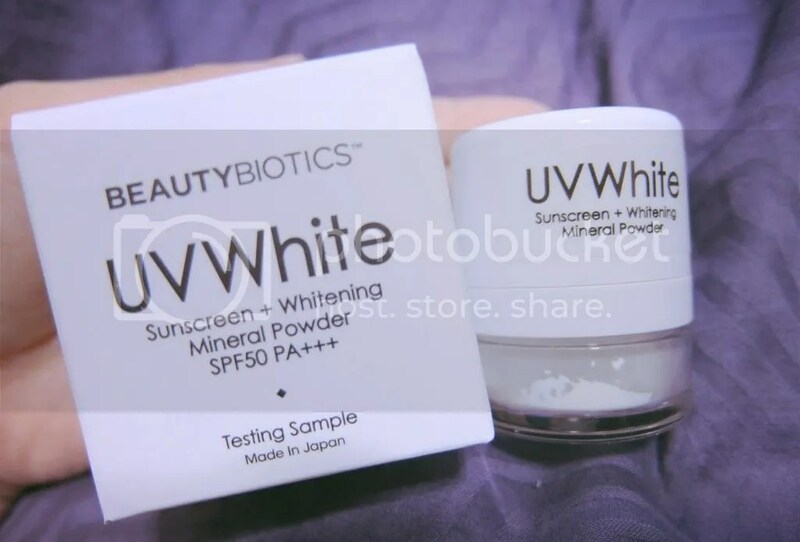 It will instantly protect skin against harmful sun-rays and unifies complexion, diminishes the appearance of dark spots, beautifies and moisturizes. Few days ago, Watsons Singapore sent me some limited-edition tissue boxes launched for a good cause… This Christmas, Watsons shares the love and gives back to the community with the launch of their ‘Helping Hands’ Program – an initiative to raise funds (with the aim to pledge $20,000) for their official charity of the year, the Chen Su Lan Methodist Children’s Home via retail of limited-edition tissue sets‏. 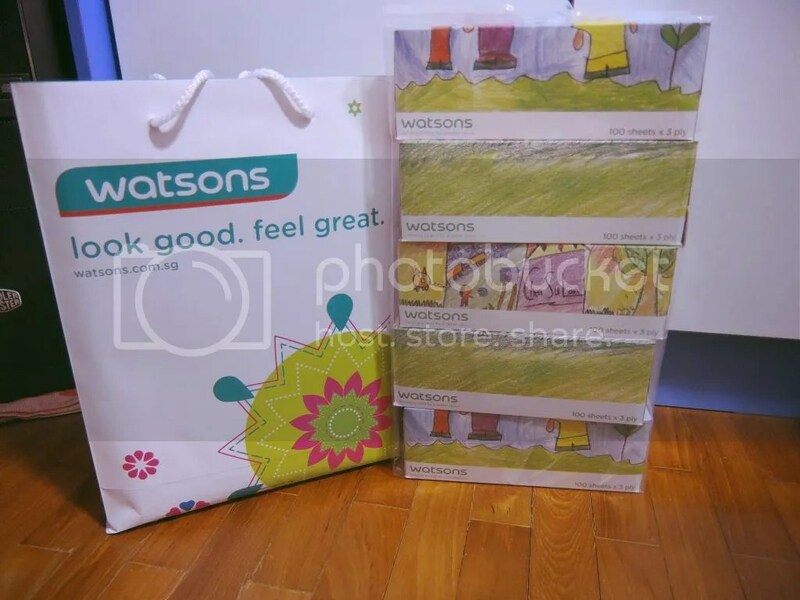 These limited-edition box tissues, mini hankies and travel packs features colorful illustrations done by children from the home and will be available at all Watsons stores from this month to February 2014. The first ever Helping Hands Program hopes to empower and fulfill the wishes of the children in Chen Su Lan Methodist Children’s Home*. Based on the theme “I Believe in Magic”, the drawings featured on the tissue sets provide the children with an opportunity to express themselves through art, whilst reflecting their desires for the future. Nine different artworks will be featured, and for each box or packet of tissue purchased, Watsons will donate 10% of the proceeds to the Home. *An approved Voluntary Welfare Organization registered under the Charities Act and member of the National Council of Social Services (NCSS), Chen Su Lan Methodist Children’s Home cares for the well-being of needy and disadvantaged children, providing them with an inclusive home environment and helping to strengthen their family relationships. 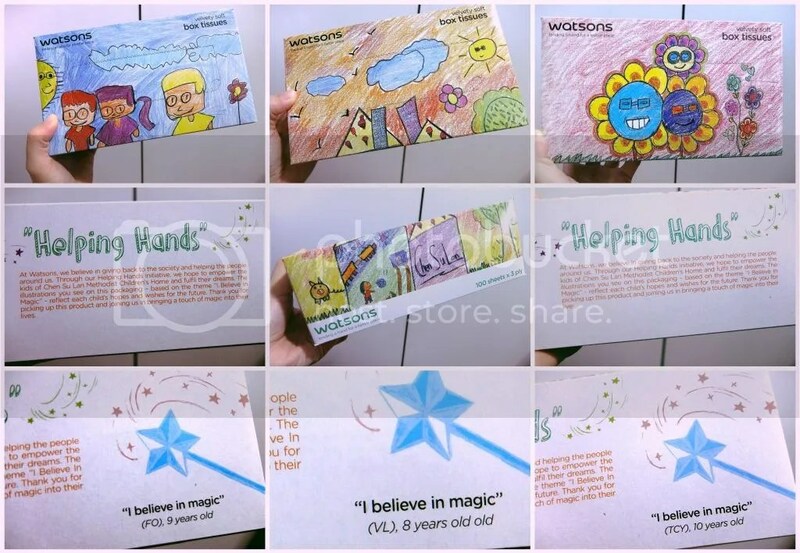 These illustrations were specially designed for the Helping Hands project, drawn during art classes that were organized by Watsons for the children. 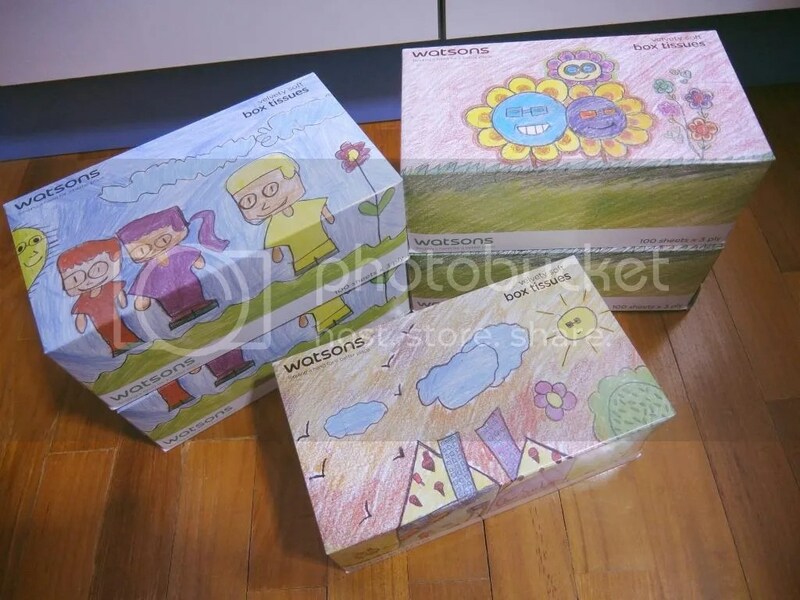 The series kicks off with colorful artworks depicting a happy Chen Su Lan Methodist Children’s Home, three brave musketeers and cheerful sunflowers, printed on box tissues. Each box tissue pack (3plys x 100sheets x 5boxes) will retail at $4.50. The drawings will also be featured on mini hankies. Designs include a bright and sprightly giraffe, a friendly shark and two lovebirds. These creatures of the land, sea and air will be available on packets of mini hankies (3plys x 10sheets x 16packs) retailing at $2. With this new ‘channel’, you can go about blessing the children (simply by just purchasing this daily necessity) and help bring a little bit of magic back to the children of Chen Su Lan Methodist Children’s Home. 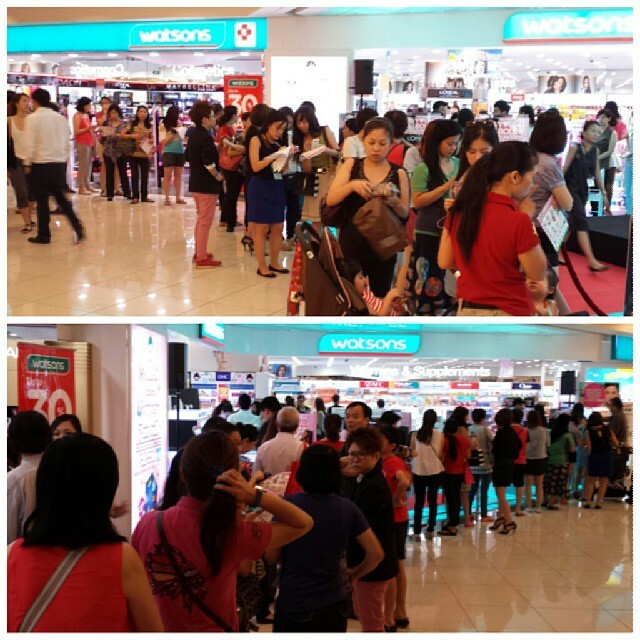 Lastly, Watson flagship’s store has celebrated its first birthday (in October) with the first-ever VIP sale and four-day beauty carnival. Having achieved several milestones in the past year and to commemorate the first birthday of its revamped flagship store at Takashimaya Shopping Centre, the brand has hosted its first-ever closed-door VIP sale featuring exclusive and widely anticipated brands and products; as well as a four-day Beauty Carnival filled with exciting activities and in-store specials for customers. Voted as Singapore’s Favourite Personal Care Store in a survey by Brand Alliance, Watsons Singapore has more than 100 stores island wide (with more than 30 pharmacies located in keystores) and more than a million customers’ visit everyday.. Its 7000 sq ft flagship store in Takashimaya Shopping Centre carries more than 13,000 products of which 150 are exclusive beauty and health brands, more health and beauty services and increased extensive product range from quality world-renowned brands + Watsons’ house brands. In line with the brand’s promise to deliver the latest health and beauty trends, Watsons will once again be introducing more on-trend beauty brands and products from worldwide at affordable prices. These include revolutionary skincare products such as Dr Vincent’s dermatological serums and BeautyBiotics dream cream series, coveted colour pop cosmetics from UK’s Collection and Japan’s Brigitte, sensational haircare products from Laboratoires Kéranove and oral beauty supplements from SkinBiotics. There will be latest beauty gadgets as well, like the SoniSpa facial massager and body massager. Was thrilled to find Oral Health Supplements for Inner Beauty from SkinBiotics inside the box . A brand exclusive to Watsons, SkinBiotics is a revolutionary nutri-beauty system personalized to individual skin conditions’ needs. SkinBiotics’ range of products are recognized for its effectiveness and excellence not only by consumers but also by scientists, aestheticians and dermatologists for its anti-aging and beauty benefits. 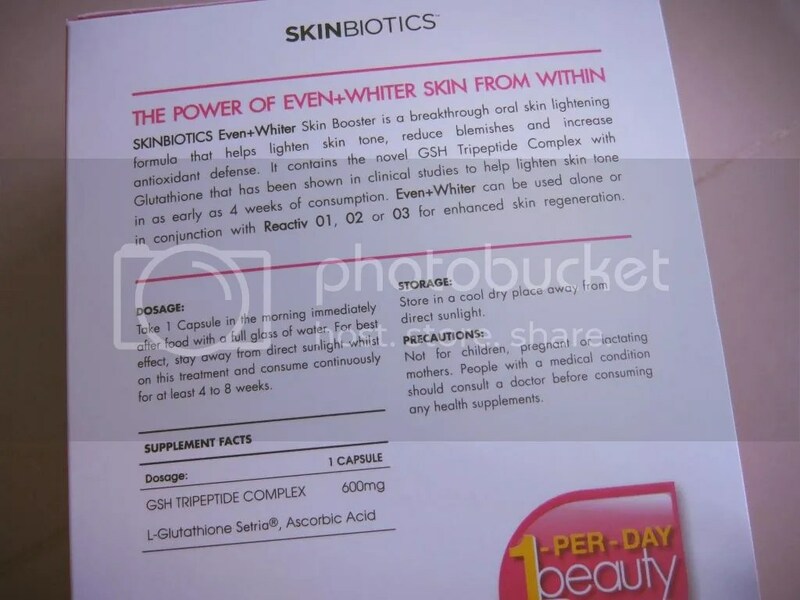 What’s new from SkinBiotics will be the EVEN+WHITER skin booster which will lighten skin and fight blemishes from within. 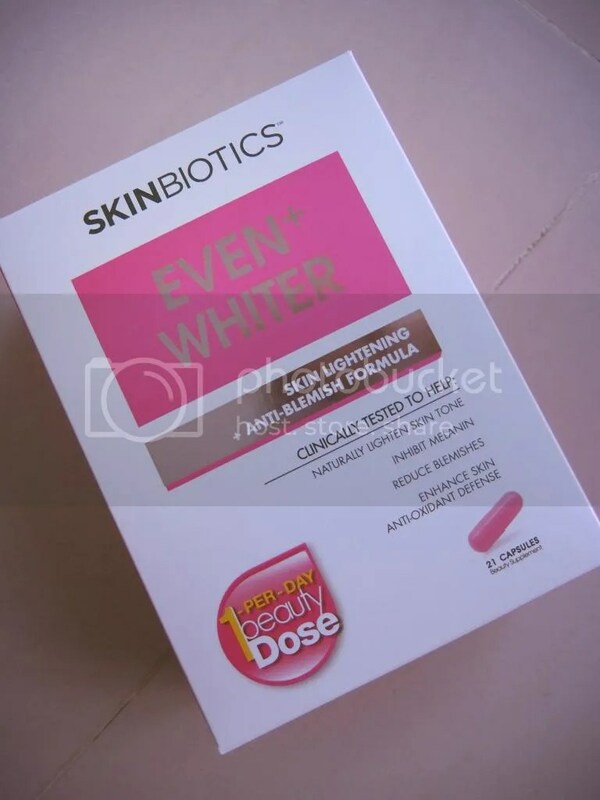 Clinically tested, this new skin whitening booster pills contain a revolutionary whitening formula – Glutathione, a high absorption master antioxidant specially formulated for Asian skin to help lighten skin tone within four weeks of consumption. With a high antioxidant power, the beauty pill not only helps to lighten two shades of skin but also reduces melanin, skin blemishes and increase skin immunity and radiance. 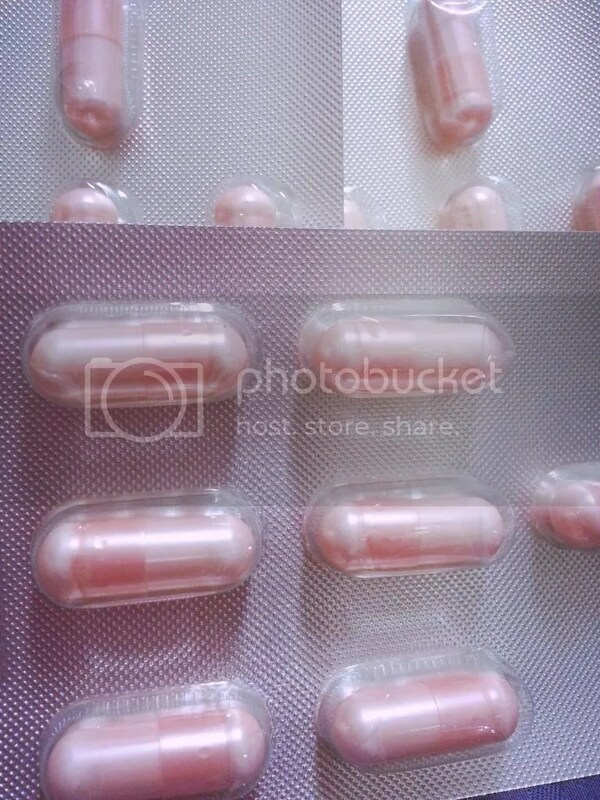 The Capsule comes in a sweet shade of pink and the dosage is 1 capsule per day for 4 weeks in order to see results. As i have only consume it for 3 days, i cannot comment much on the effects.. Will be back with more updates when i complete the required course. BeautyBiotics is a dermatological cosmetics brand that is founded on an Innovation x Science approach. Developed based on Medical Aesthetic Science, the brand incorporates nano skincare science into all their products for improved penetration efficiency and immediately visible results in just one application for a more radiant and youthful appearance. 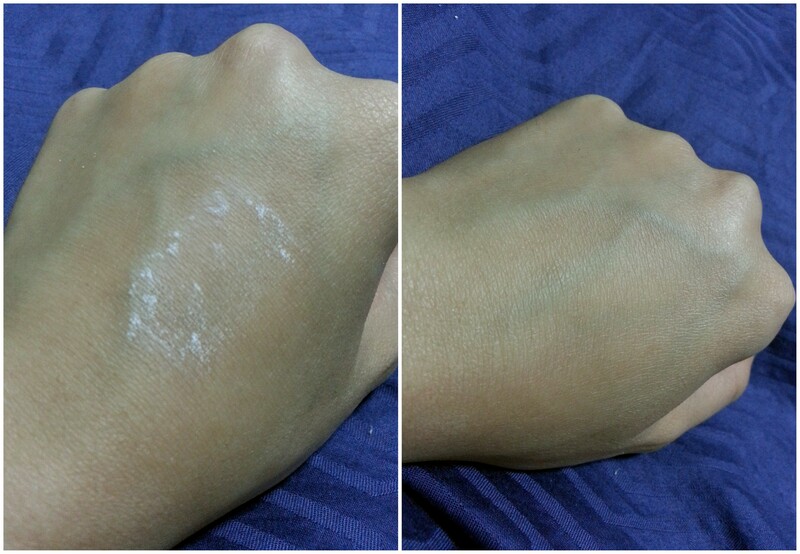 Have ‘test-drive’ the UV-White Nano Powder when i was heading out to run some errands last week. 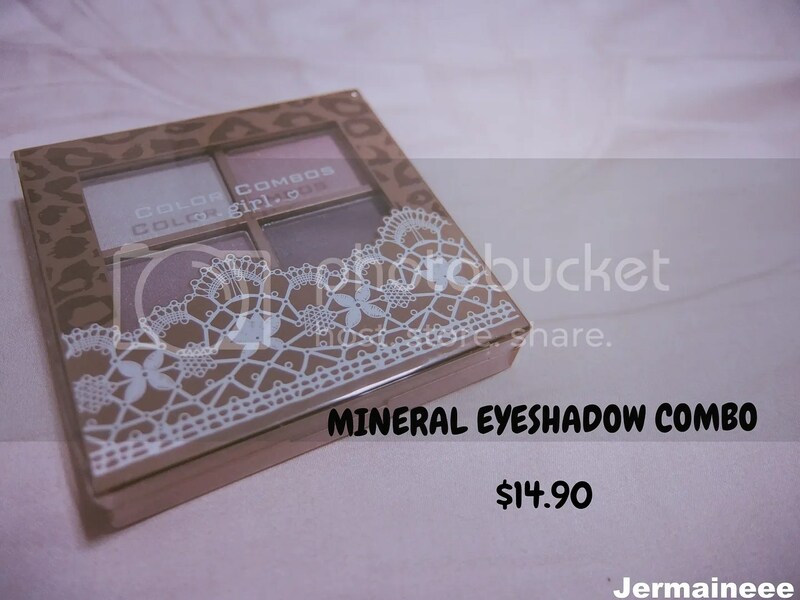 The powder is finely milled and feels very light when i applied a thin layer on (Using my makeup brush). Although it is white in color, it does not leave behind any white cast and it helps to brighten skin tone + mattify skin a little. Consumer favorite and award-winning brand of facial, eye and body care products, Bio-essence has always been at the forefront to serve consumers’ needs of achieving and maintaining gorgeous, healthy skin. The brand houses more than 100 products, within the local market and across countries like Malaysia, Hong Kong, China, Taiwan, Japan, Thailand, Vietnam, Myanmar, Australia and the UK. For Watsons’ Firsts, the brand will be debuting Bio-essence Bio Water Power Protect Cooling Sunscreen SPF 56 (For Face), the brand’s latest addition to its Sun Protection Series. 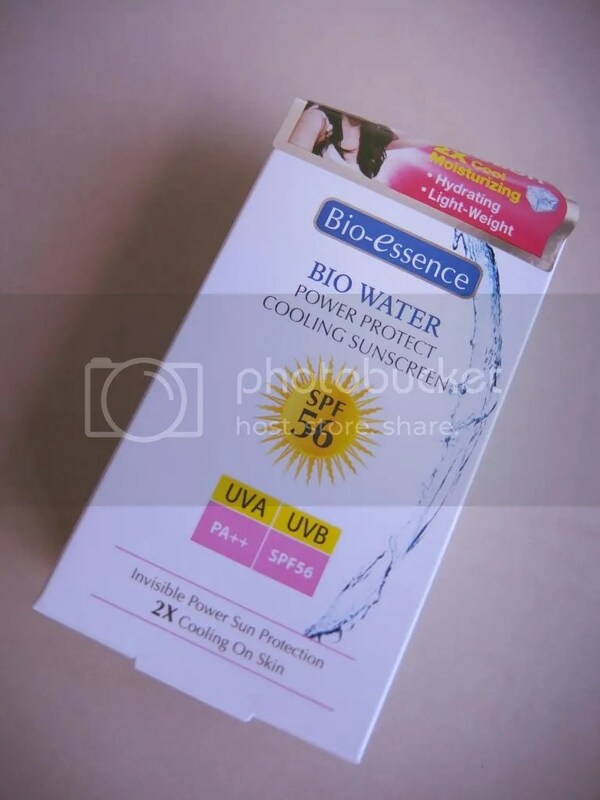 The Bio-essence Bio Water Power Protect Cooling Sunscreen SPF 56 (For Face) ($25.90) has water-based formula to provide long-lasting and high sun protection against harmful UVA and UVB rays whilst has an instant cooling effect on the skin. 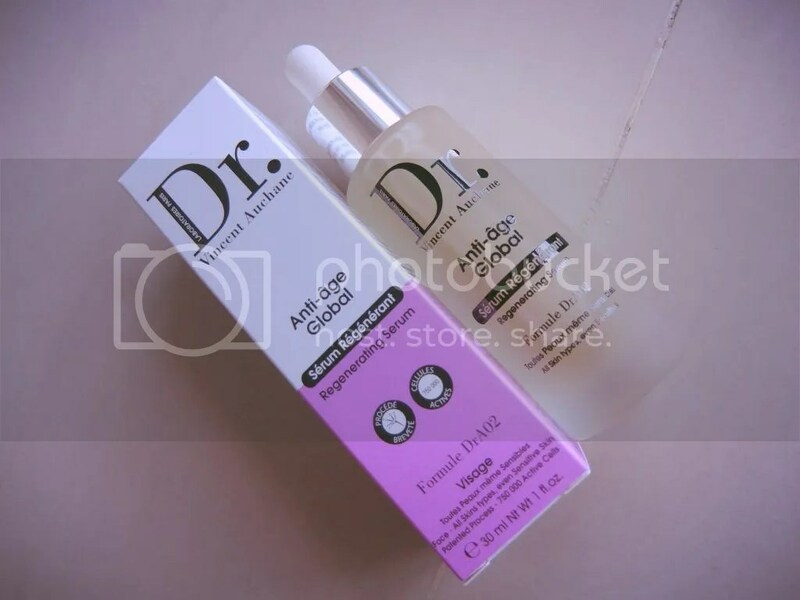 Key ingredients include Miracle Bio Water (low in mineral contents and rich in trace minerals to give a 2x cooling and moisturising effect on skin), Tranexamic Acid (lightens and prevents the formation of dark spots and freckles, ensuring fair and radiant skin) & Hyaluronic Acid (intensively replenish and locks in moisture to keep skin hydrated and supple). Will try this out i’m done with my current tub of Shiro-wa Sun Shield Potion. 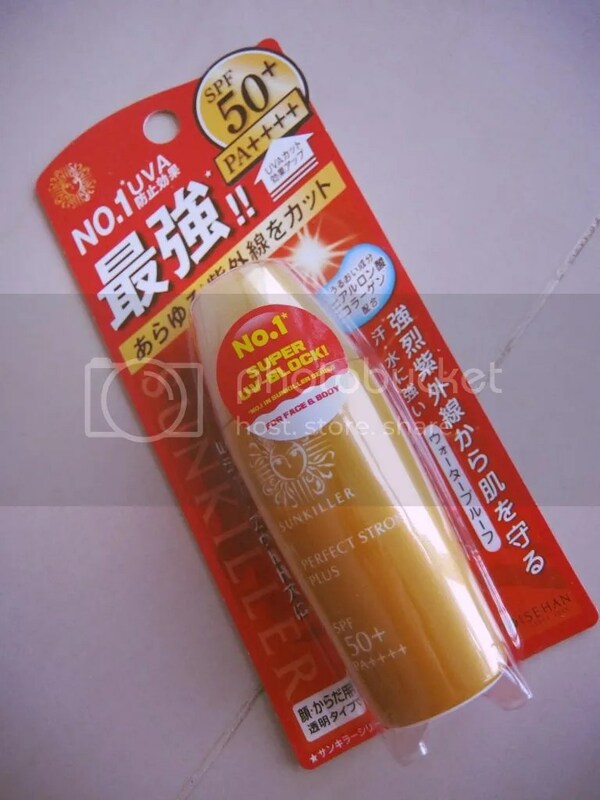 Japanese Suncare band, SunKiller carries a wide range of sunscreen products meet various customers’ needs to suit different skin conditions, occasions and lifestyles! The wide range of sunscreen products meet various customers’ needs from sporty and active individuals who desire high sun protection to individuals with dry skin and even to sun-protecting items for babies. On top of that, it is also the 1st sun care brand in the mass market to introduce PA++++ – Perfect Strong Plus! For Watsons’ Firsts, the brand will be introducing its latest range of waterproof UV-blocking products suitable for daily use. Perfect Strong Plus ($14.90, 30ml) in my box has the high sun protection and it features a hybrid UV cut powder which improves the way it clings to your skin for even, long-lasting protection. It is water-resistant, light-weight and non-sticky in texture with a lightly citrus-scented formula. For your other skincare needs, there will be a latest range of serum infused with grapevine blossom cells which is developed by cosmetic surgeon Dr Vincent Auchane. Since 1992, Dr Vincent Auchane has done in-depth research into the scientific knowledge of the skin, studying the skin profile of various individuals and its capacity for regeneration. Born out of the latest technologies relating to formulations, his skincare line has undoubted efficacy. The brand’s signature range of serums infused with grapevine blossom cells includes Correcting – Regenerating Serum, Moisturizing – Active Spring Moisturizing Serum & Active Spring Moisturizing Serum. Was given the Correcting – Regenerating Serum and this serum works on the creation of skin support fibres at two levels: proteoglycans and collagen responsible for firmness and elastine for increasing elasticity. With regular use, it will firm skin with a 16% increase in the elastine rate and provides the skin with an anti-free radical and anti-oxidant action. 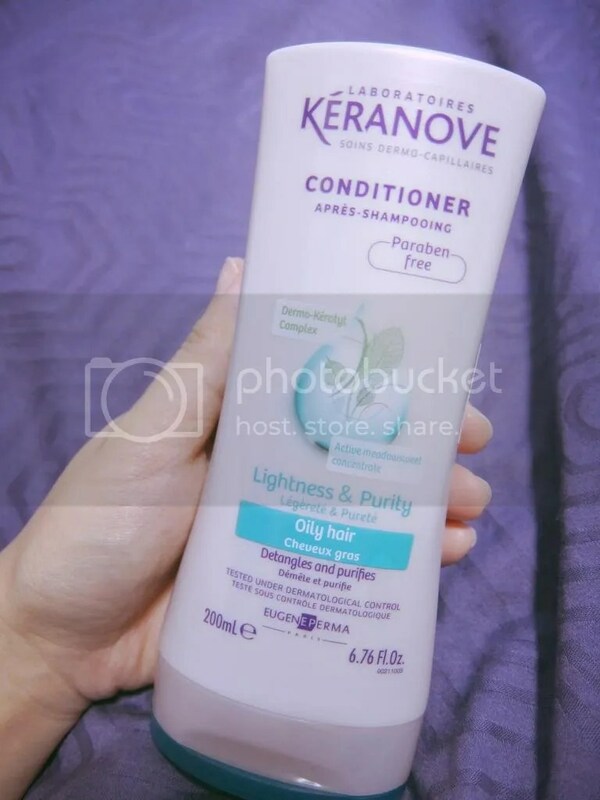 An established hair expert, Laboratoires Kéranove launched the first transversal range of shampoos, hair care and colouring products containing processed natural extracts to treat both scalp and hair. Founded in 1966, the brand is formulated with an exclusive formula – “Dermo-Kératyl” complex rich in trace elements to revitalize scalp and hair. With a scientifically proven efficacy, all products are paraben, colorant, ammonia, and perfume free. For Watsons’ Firsts, the brand has showcase a wide variety of multipurpose hair care and colour lines specially developed to cater to individuals’ various hair needs (Dry and damaged hair, Coloured hair, Dandruff, Hair loss treatment, oily hair, Normal Hair and Thin Hair). In the box, i was given the conditioner for Oily Hair which is rich in Meadowsweet Active Concentrate to regulate sebum secretion. Founded in 1987, COLLECTION, previously known as Collection 2000, is renowned for fun, fashionable, on-trend and affordable makeup. Creating a cache for colour, the brand lives up to its sassy strapline ‘Work the Colour’ by presenting individuals with a wide array of the brightest and most wearable colors in vibrant and innovative packaging at unbeatable prices. Will be doing a separate review post for COLLECTION makeup so stay tune for it! Brigitte Creamy Shimmering Eyes ($23.90): available in three shimmery shades for that soft and gorgeous pearl eye that gives your eyes that extra twinkle! 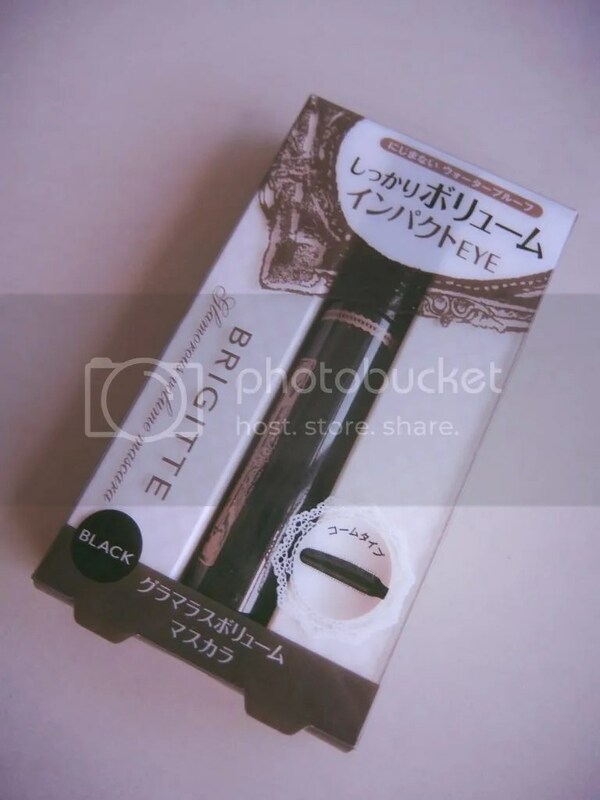 Brigitte Fantastic Deep Mascara ($28.90): helps achieve a beautiful finish without thick lumps, yet creating voluminous lashes. Available in Deep Black and Pink Brown. [CLOSED] As promised, i will be hosting a giveaway for some of the items you have seen above (there will be 2 sets available). To participate in this giveaway, just follow me on Instagram (Username: @germie_) and then email me (jermaineee@hotmail.sg) with your particulars + instagram username + set preference. 1) This giveaway is only open to people residing in Singapore. Do note that i will be giving a number generator to pick the winner. 2) You can only choose one set out of the two and duplicated entry will be ignored. 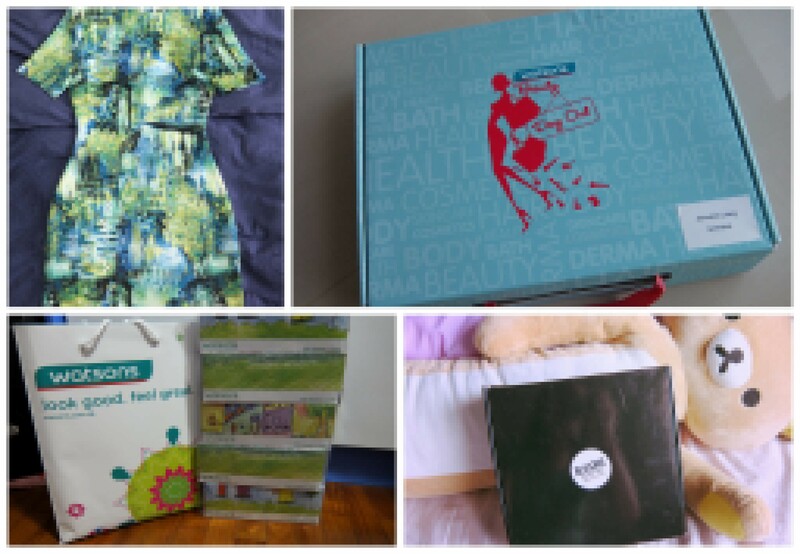 (Giveaway) 10 Color Combos hamper to be won! Hello everyone! 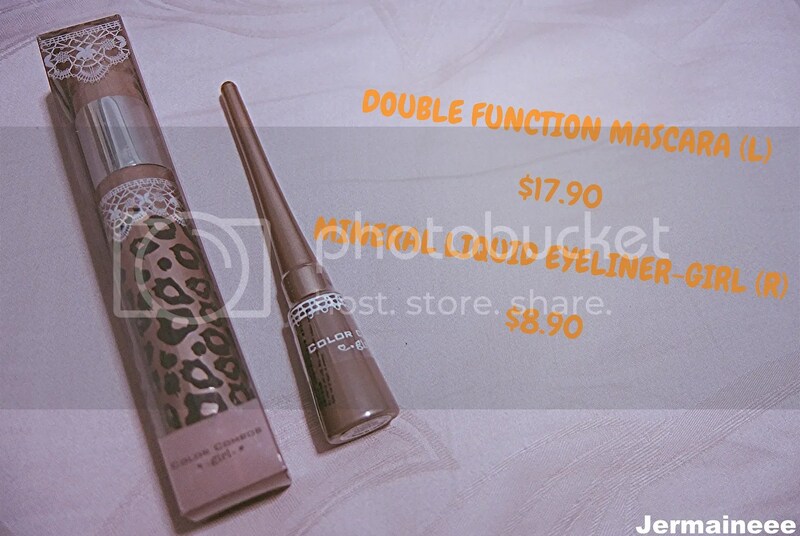 Remember my recent review of the (好事成双) Color Combos – Double Function Mascara? If you wish to give this mascara a try, i have something really exciting to announce! For the next few days, 10 lucky readers of my blog will stand a chance to win a Color Combos hamper worth more than $80 (including the new Color Combos Double Function mascara) each! 10 Hampers to be won! Double Function Mascara is inspired by make-up artists and it has an innovative double wiper (wand) mechanism.. Being a two-In-one mascara, it allows users to create dual effects (Volume and Length) with just one mascara. One wand will help volumize lash for greater impression while the other helps to coat each lash evenly to creating long, separated and defined lashes. Color Combos Mineral Lip Gloss is a lip gloss with shiny particles to leave lips with high shine. This product also contains treatment ingredients to provide lips with moisture at the same time. Caring and nourishing formula with SPF 40, Shea Butter, Argan Oil and anti-oxidant Vitamin E provides UV protection and prevent lips from drying. 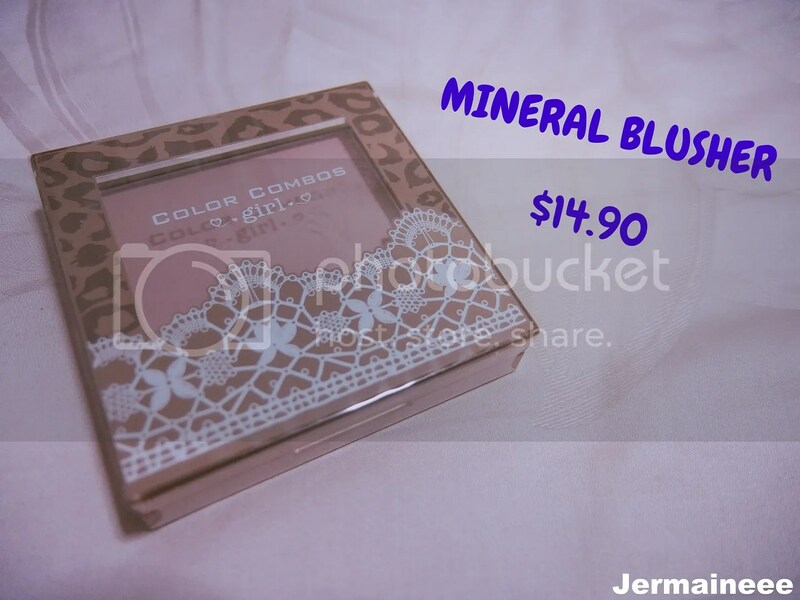 Contains no paraben perservatives and artificial flaours, Color Combos mineral blusher has a smooth texture and long-lasting effect. With Jojoba seed oil to provide a long-lasting moisturizing feeling; its other ingredients refresh skin, offers antioxidant and whitening effect after use. 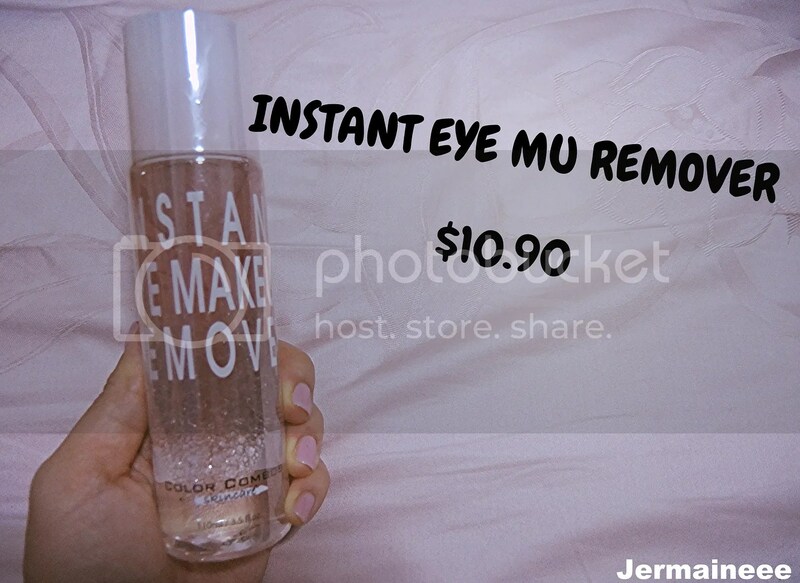 Under the skincare series, this two phrase eye makeup remover gently and effectively removes eye makeup and moisturizes the delicate skin on our eye areas at the same time. Question: Name one effect which Color Combos Double Function Mascara can create? 2) Please ‘like’ SaSa SG FB page via this link. 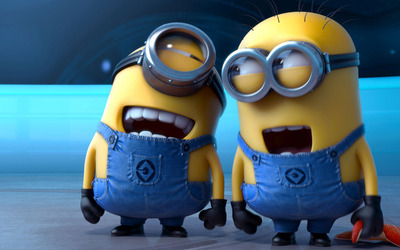 After which, post / share my blog link on SaSa FB page with this comment: Stand a chance to win a $80 Color Combos hamper! 3) Email SaSa @ facebook@sasa.com.sg with the printscreen of your answer + name + email (posted on my blog), SaSa SG FB ‘like’ and my blog link ‘share’ on SaSa SG FB page. (edited on 02 Aug) – To make things easier from today onwards, just email SaSa @ facebook@sasa.com.sg with your answer + name + email, SaSa SG FB ‘like’ and my blog link ‘share’ on SaSa SG FB page. 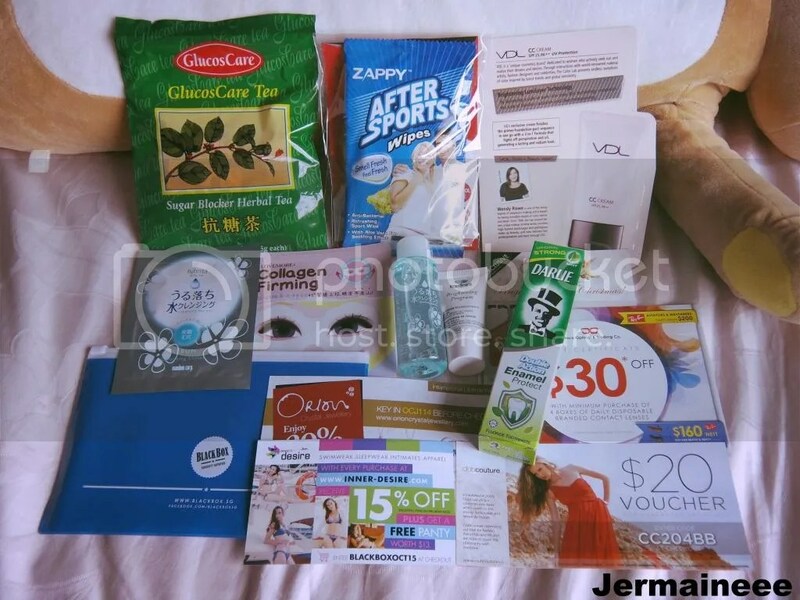 4) Include this subject title: I want to win a Color Combos hamper (from Jermaineee) ! 1) Do follow all above instructions carefully to qualify for this giveaway. Incomplete entry will be disqualified. 1 chance each so duplicate entries will also be disqualified. 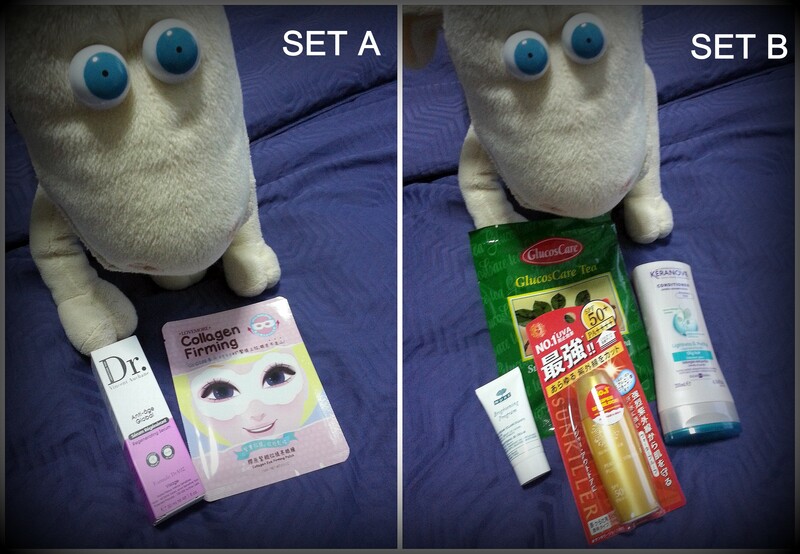 3) This giveaway will end on 04 Aug @ 11 pm and Sasa will inform winners SaSa SG FB page & via email.